This article will cover how calcium can block a cesspit. A cesspit’s job is to isolate the livable environment from all that wastewater produced by your household on a daily basis. In turn, it is your responsibility to take good care of your cesspit. By making sure that the cesspit functions well, your entire property will remain in good condition and your household will remain healthy and safe. All wastewater treatment systems have concrete elements in them. This serves as reinforcement to the metal components that they have. Damage and blockage to the cesspit happens because of various factors. Sediments from heavy rains could block the perforations of the cesspit. Additional water could also cause the normal flow of the wastewater treatment to stop. 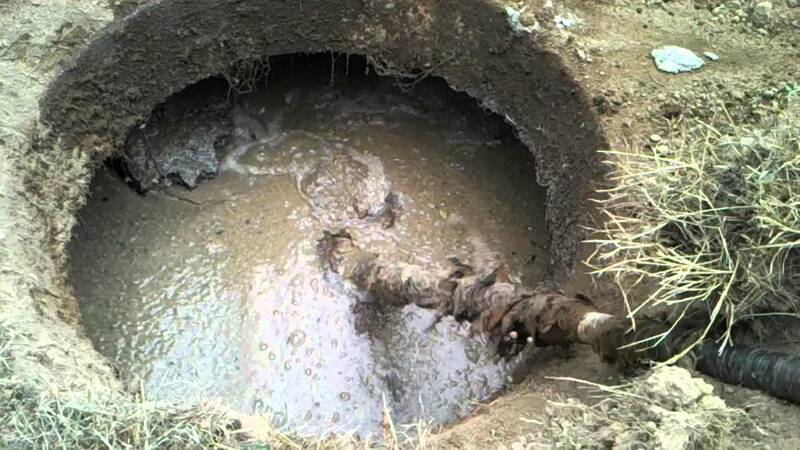 Irresponsible waste disposal is also a major cause of cesspit blockage. Non-biodegradable materials enter the cesspit and cannot be broken down by the resident anaerobic bacteria anymore. They get into the surrounding soil absorption area and clog it as well. Another thing that could block the cesspit is calcium. Calcium sulfoaluminate is also known as ettringite. You should know how calcium can block a cesspit so that you could find more ways to improve the system. Ettringite is brought upon by the production of sulfur in the cesspit. Sufur is produced as a byproduct of the thiobacillus bacteria. The anaerobic digestion that happens in the cesspit produces sulfur in gas form when the bacteria mentioned degrades the organic material that it receives from the wastewater. The hydrogen sulfide gas gathers at the headspace above the cesspit’s water line. The moment the hydrogen sulfide gas gets in contact with the oxygen in this part of the cesspit, sulfuric acid is formed. As you know, sulfuric acid is a corrosive acid that concentrates on the concrete part of the cesspit. It opens up the steel mesh underneath, creating spalling concrete. Calcium sulfoaluminate or ettringite forms and exposes the reinforced steel and rebar. Because the concrete layer is already deteriorated, the steel components corrode. The fasteners and baffles are slowly damaged and this allows debris and additional water to enter the cesspit. Ettringite most certainly does significant damage to the cesspit system is sulfuric acid is continuously produced. Because sulfuric acid deteriorates the cesspit, the lifespan of your wastewater treatment system is shortened significantly. This subjects you to costly repairs and replacements. It is not practical to spend all the time on such things especially since you have the rest of your property to look after and maintain. Calcium sulfoaluminate prevents your cesspit from distributing the pretreated effluent as well. Because of the accumulated white substance around the perforations of the cesspit, it makes it difficult for the surrounding soil to absorb the effluent. This results to the backing up of the effluent into your home and onto the yard. The manifestation of calcium sulfoaluminate can be stopped and even prevented by targeting the main cause of the issue—the anaerobic bacteria. If the anaerobic bacteria are lessened, the sulfuric acid produced is also decreased. If there is less sulfuric acid, there is not much ettringite produced to block the cesspit. Plus, your cesspit will also last a lot longer. Consult your septic expert about the construction of your cesspit. The type or brand of concrete may be the reason why sulfuric acid production may be hindered or promoted. You are lucky if the cesspit you end up with upon your property’s purchase is very structurally sound. It means that you won’t have that much of an issue with ettringite or calcium sulfoaluminate formation. You won’t even have any problems with sulfuric acid destroying the concrete elements of your cesspit. Minimizing the amount of anaerobic bacteria can be done by transforming your cesspit into an aerobic system, wherein aerobic bacteria is more abundant. This is one way to make sure that your cesspit is optimal at all times. An aerobic system will be more efficient in treating your wastewater and getting rid of ettringite accumulation.